This is a premium camp for experienced/serious high school and middle school wrestlers, plus advanced elementary wrestlers (4th grade and up). 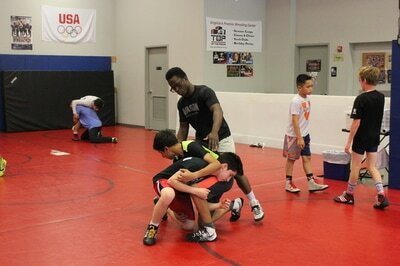 It is comprised of two technique sessions per day, plus an optional "College-Style Practice" later in the afternoon. 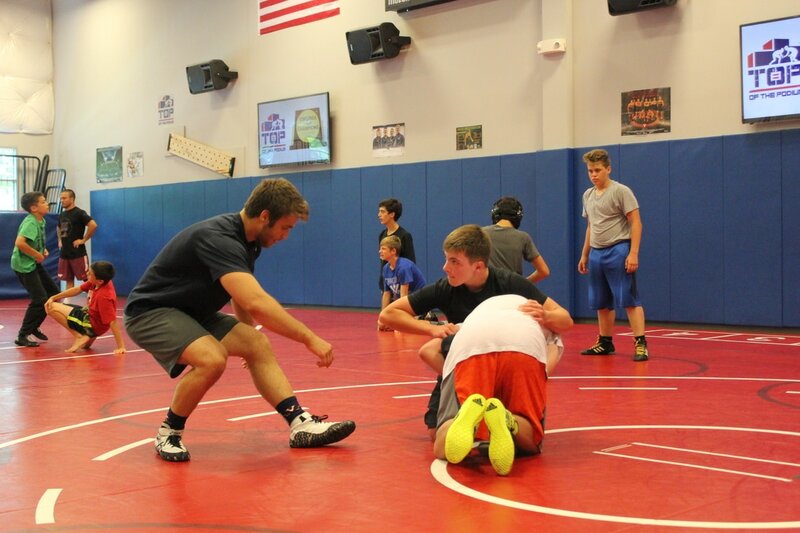 The "College-Style Practice" (CSP) is an intense 90 minute practice under the direction of college coaches and wrestlers. Techniques learned earlier in the day will be reviewed and reinforced through drilling, live situations, play wrestling, and live go's. In the coming weeks, we will be announcing the 2019 clinicians. We are currently pleased to announce that Vincenzo Joseph, 2x NCAA champion from Penn State, will be a camp counselor. 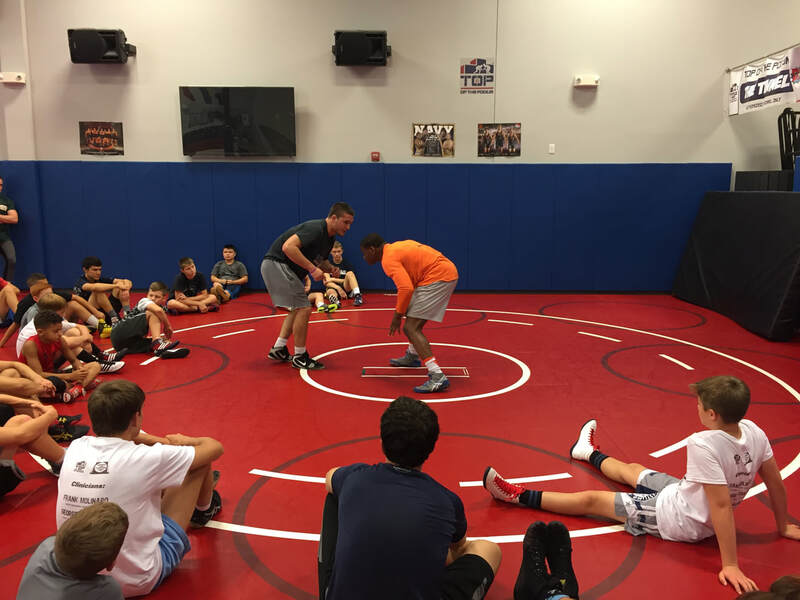 Other counselors include Paul Pierce (current GMU starter), Bayne Gordon (former GMU wrestler and 4x VA state champ), and Garrett Griffith (former Maryland and GMU wrestler). This camp has now been held for two years and was a big success both times. In 2018, featured clinicians included Frank Molinaro (2016 Olympian, NCAA champion, and current coach at Virginia Tech), George DiCamillo (2017 NCAA finalist from UVA), and Sahid Kargbo (George Mason University coach; 2017 NCAA qualifer, elite Greco wrestler). 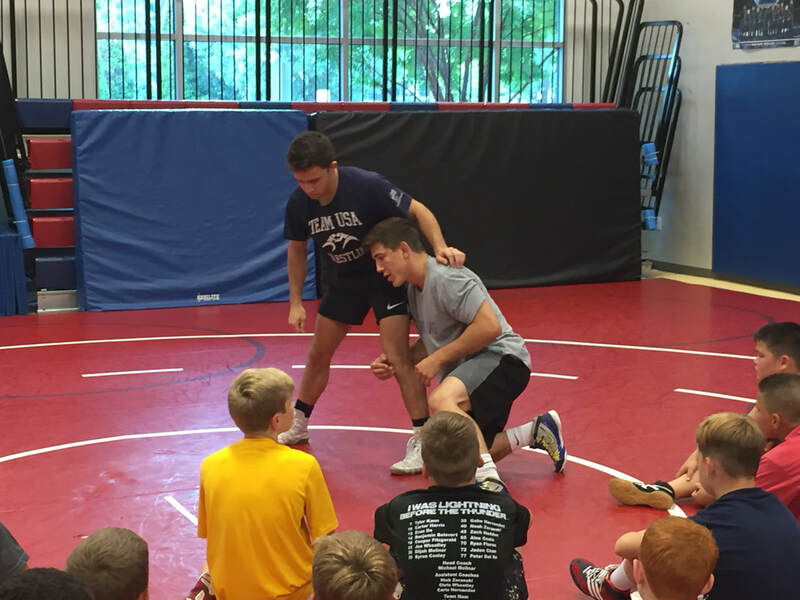 Camp counselors included UVA all-american and U23 World Team member Jack Mueller (133 lbs. 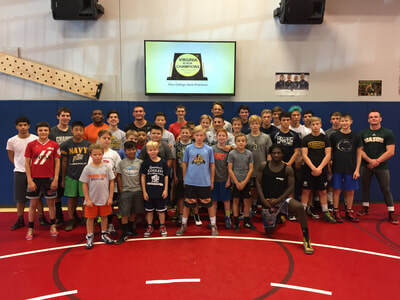 ), Virginia Tech all-american and U23 World Team member David McFadden, Junior world team member Mekhi Lewis, Mat Savvy Wrestling Club's Logan Savvy, D2 NCAA champion Dan Scanlan (founder, Scanlan Wrestling Academy), and Garrett Griffith (former GMU and UMD wrestler). 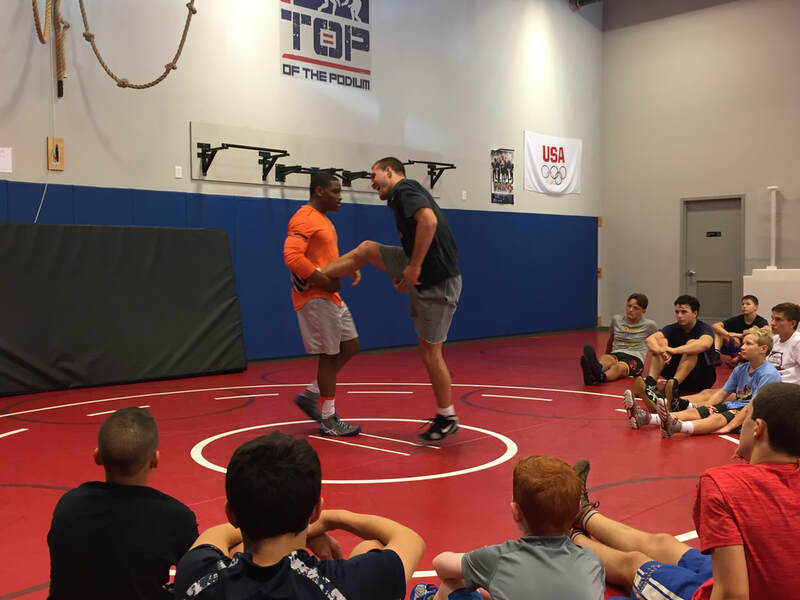 In 2017, George DiCamillo and Sahid Kargbo, along with 2012 Olympian and Virginia Tech coach Jared Frayer, were the featured clinicians. Camp fees may be paid in installments. All campers who register by July 15, 2019 are guaranteed a camp t-shirt. 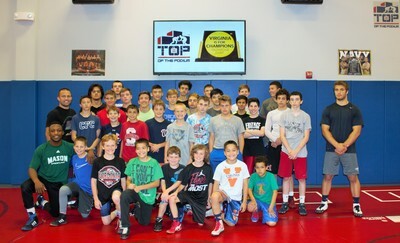 The refund policy for TOP camps is explained in the 2019 Camp Guide below. MORE CLINICIANS TO BE NAMED SOON!